The curious, charming, playful, and internet-famous Otter makes her picture book debut in I Am Otter by author-illustrator Sam Garton. Here's what Otter has to say about her book: "Hi! 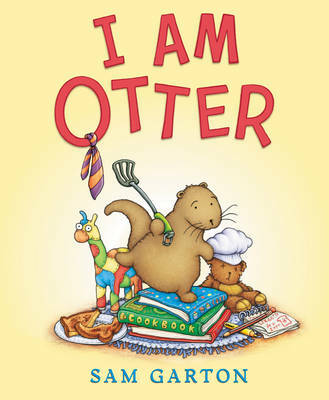 I am Otter, and this is a book about me and my best friends, Otter Keeper and Teddy. And it's about the fun and messy (and little bit scary) adventure we had one day when Otter Keeper was at work. I hope you like the story! (And if you don't, it's probably Teddy's fault.)" Otter's utterly winning voice and Sam Garton's classic yet fresh artwork combine to create a truly hilarious and unforgettable friendship story.